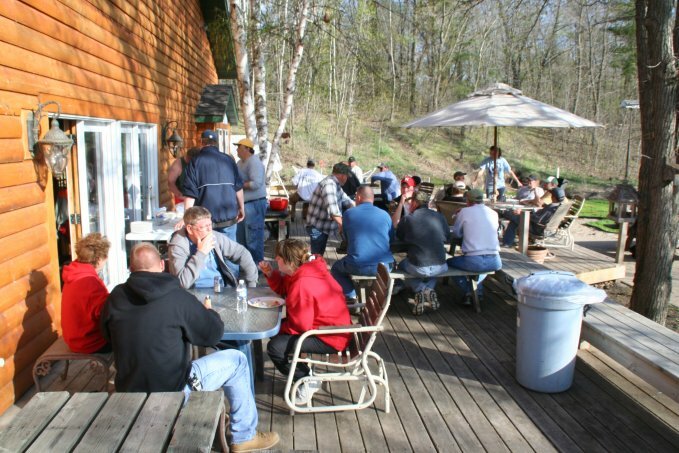 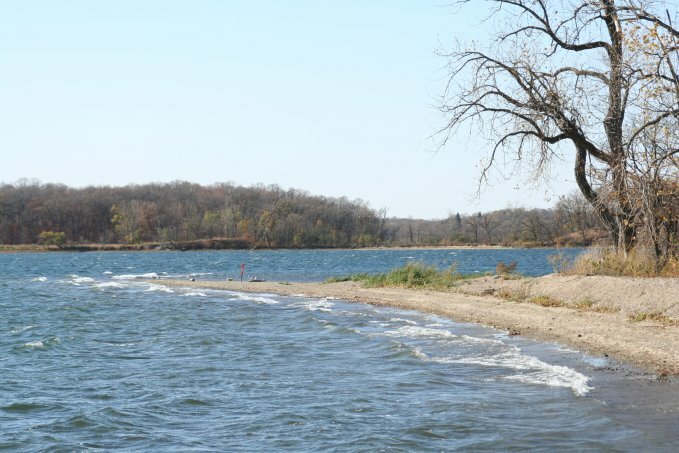 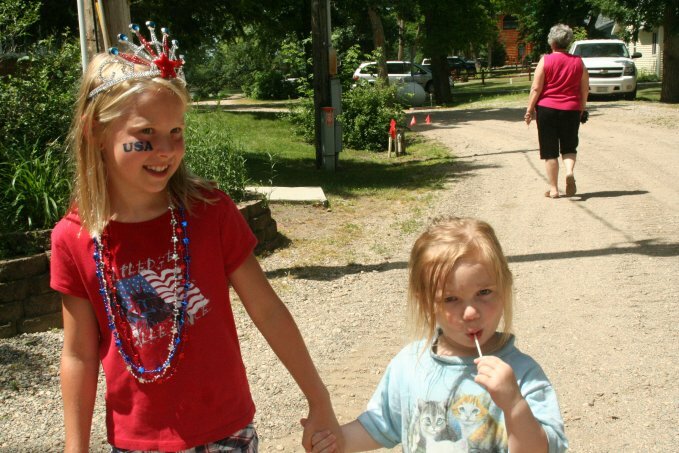 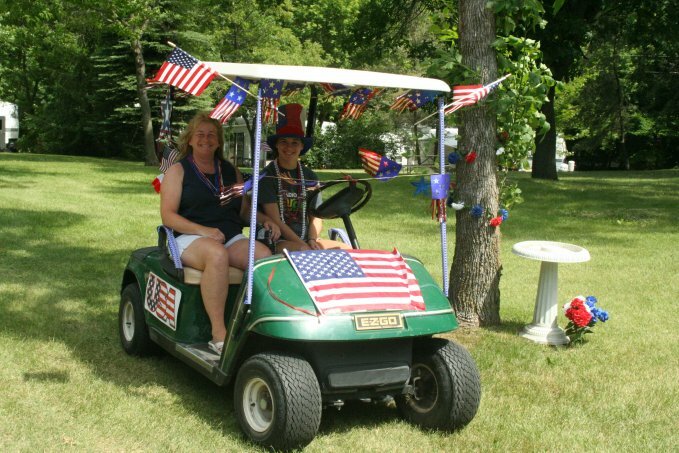 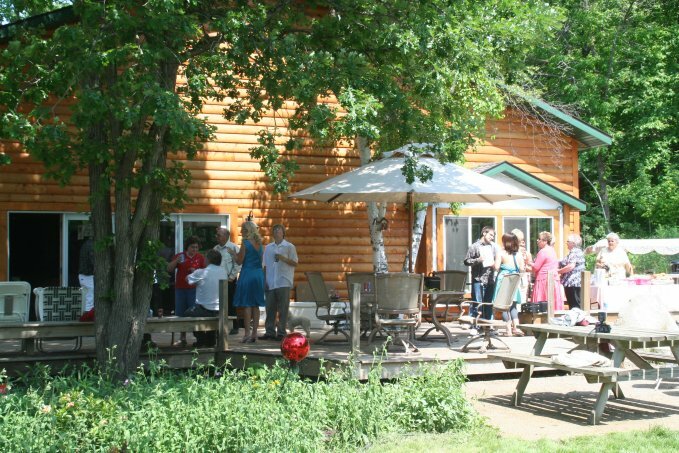 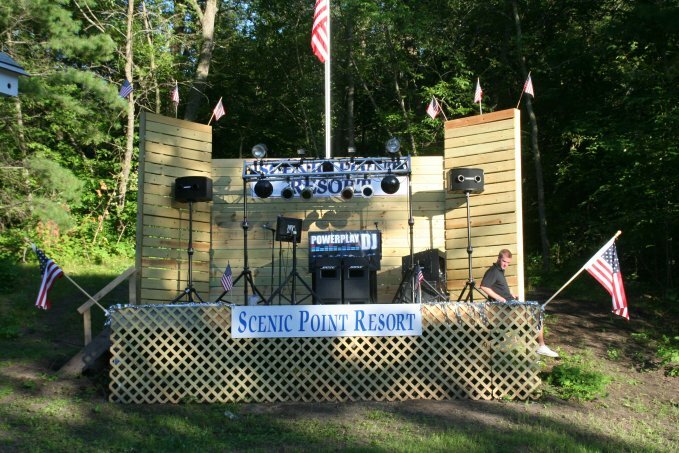 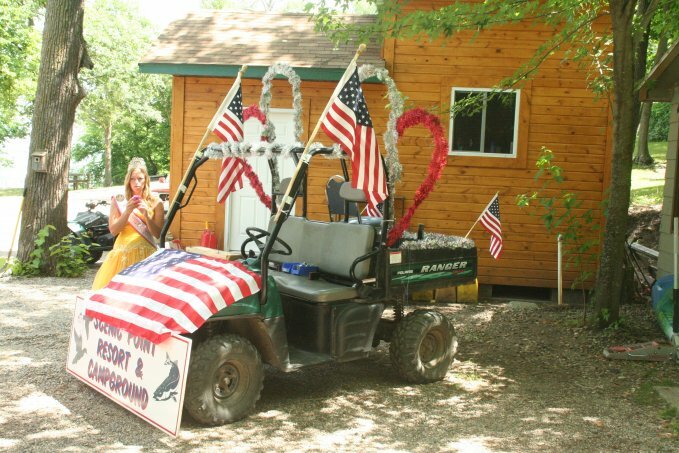 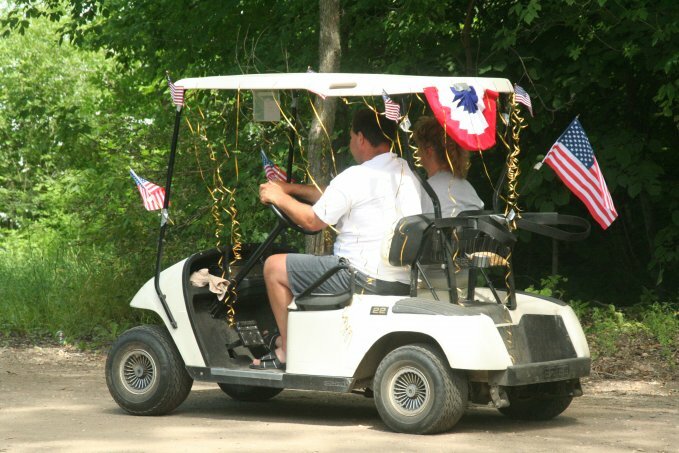 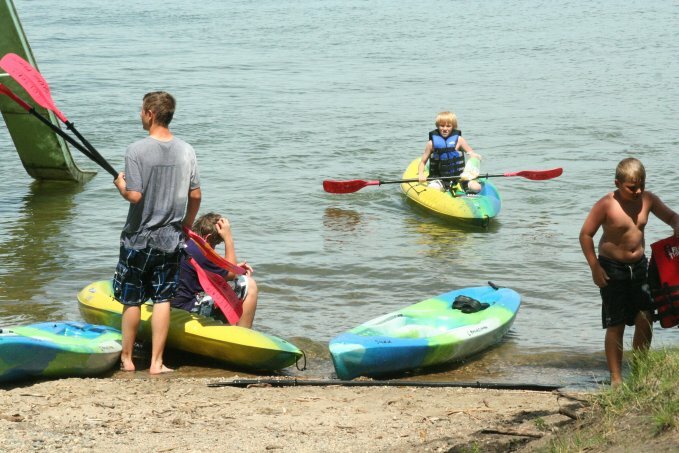 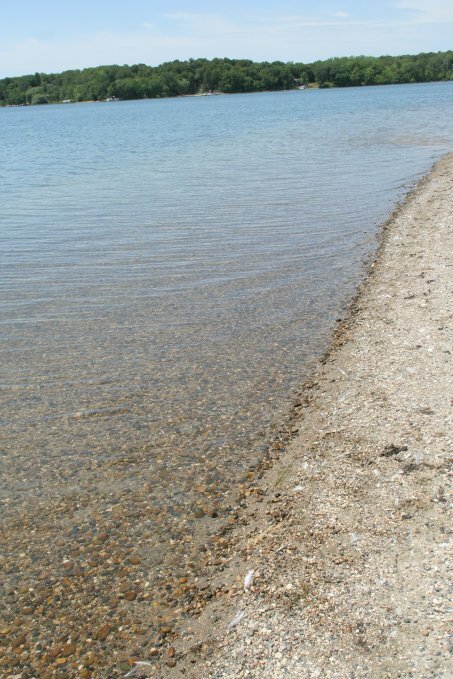 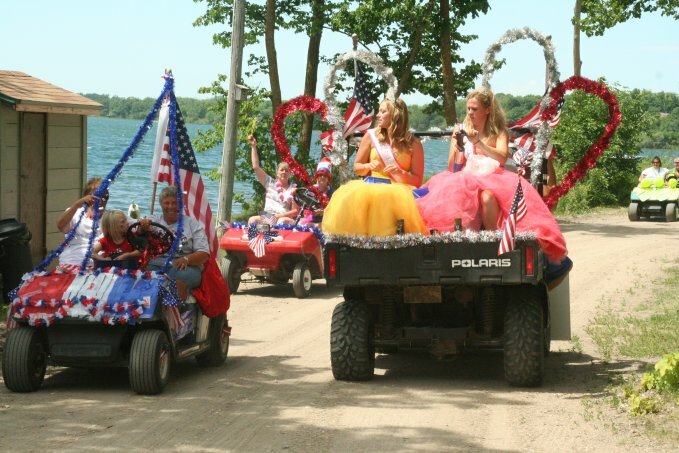 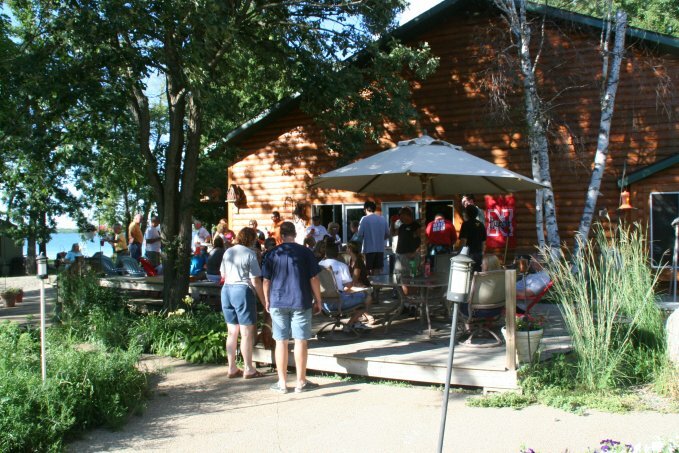 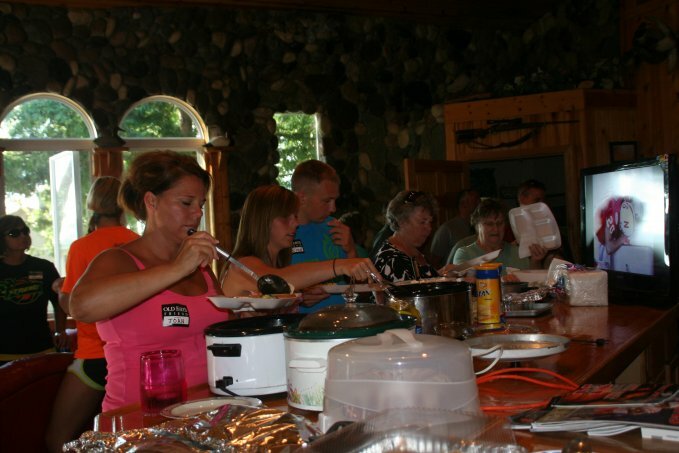 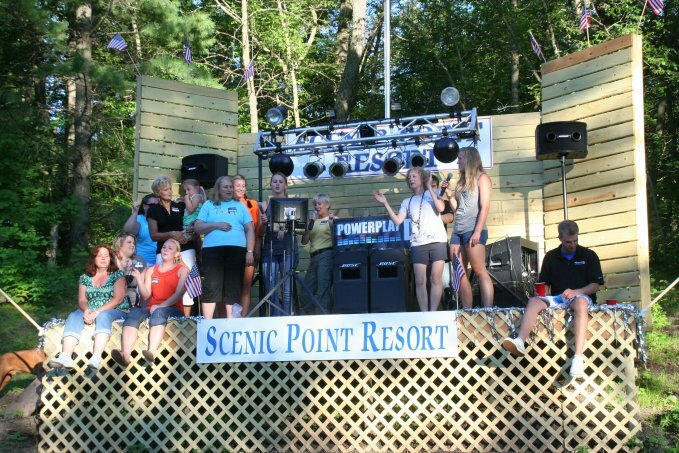 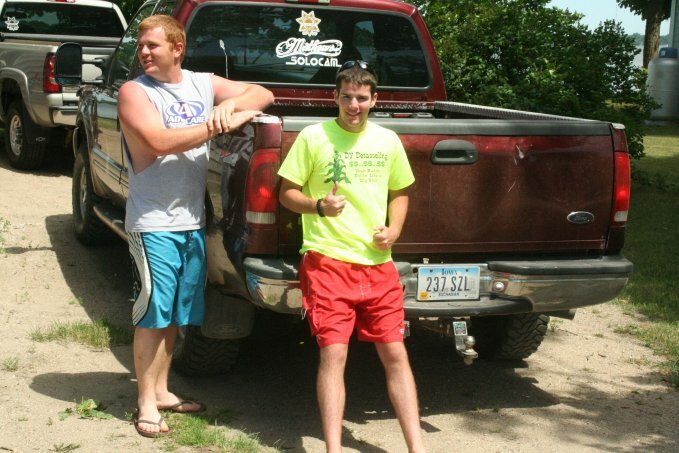 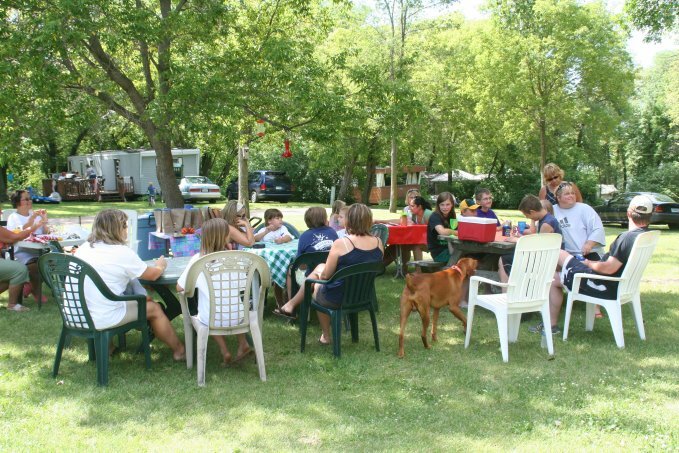 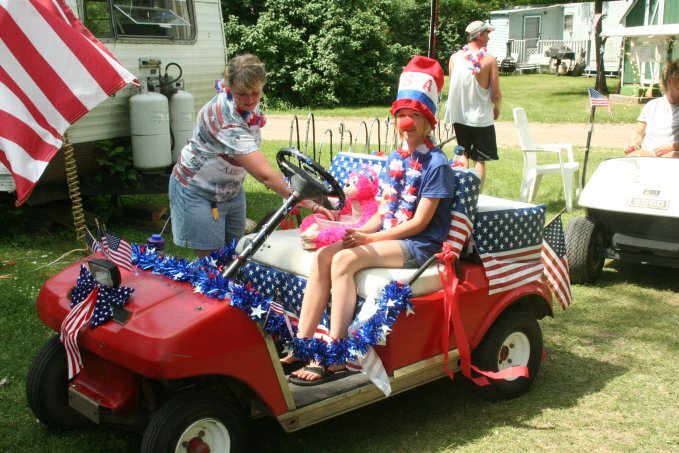 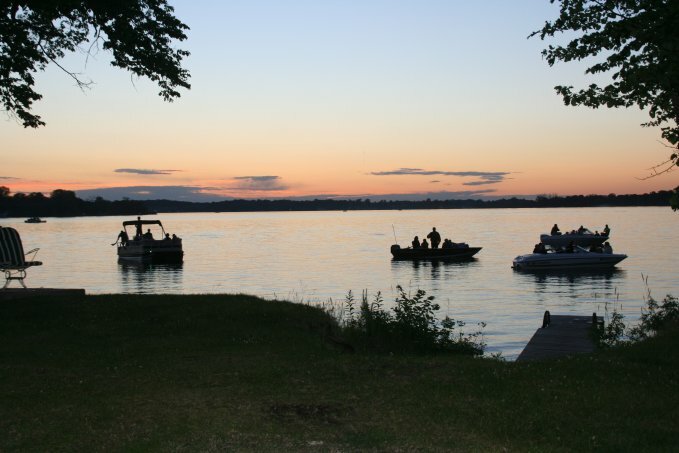 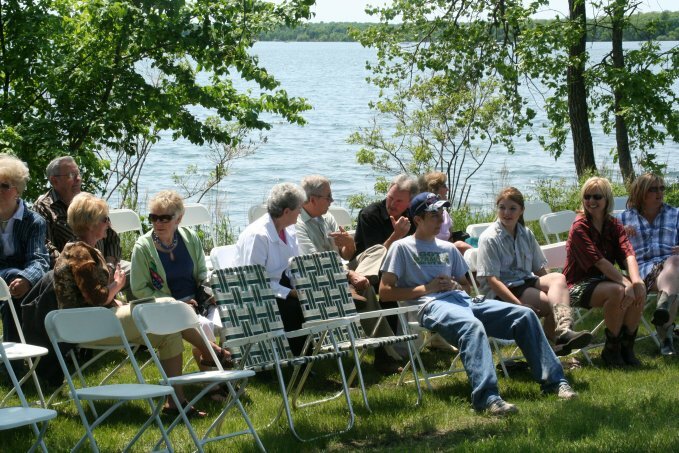 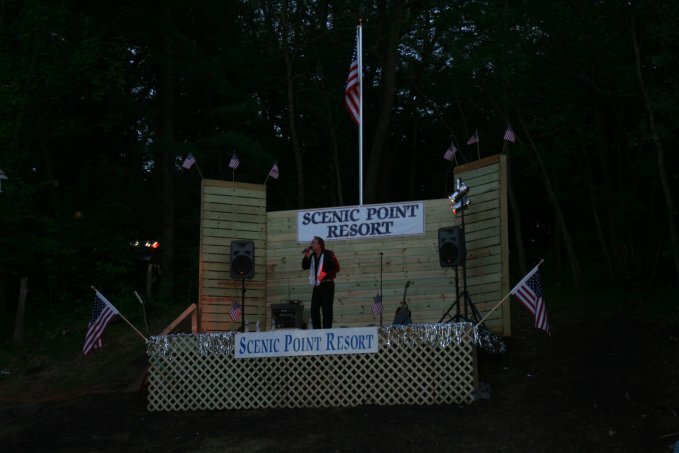 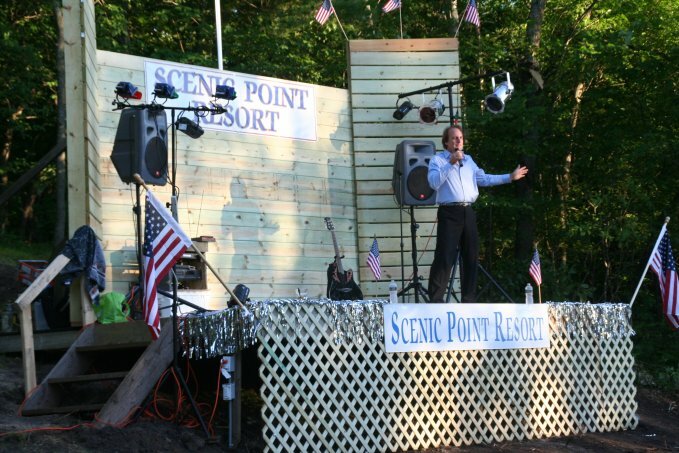 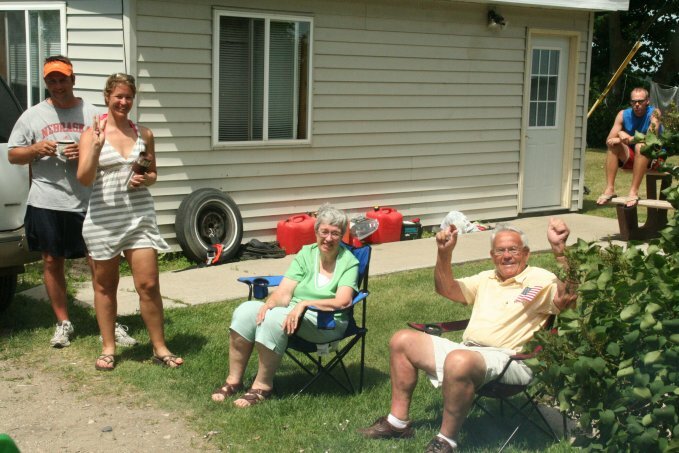 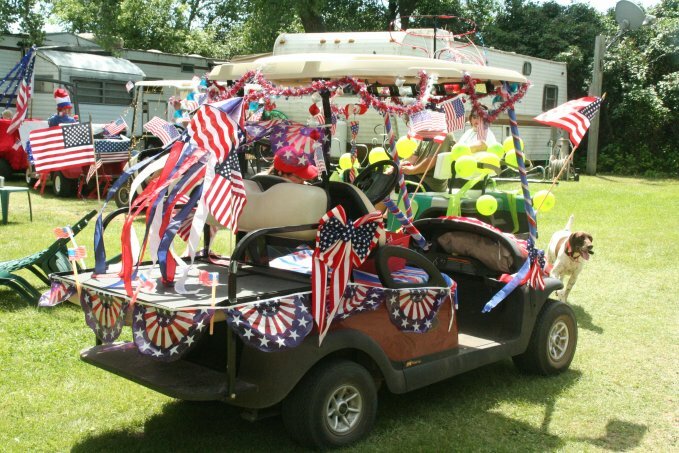 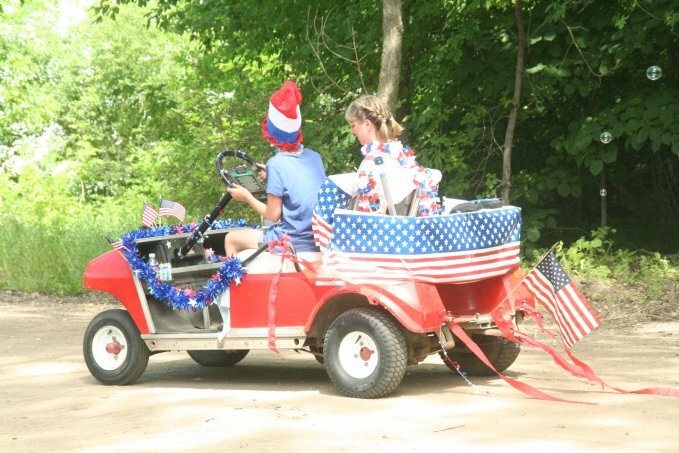 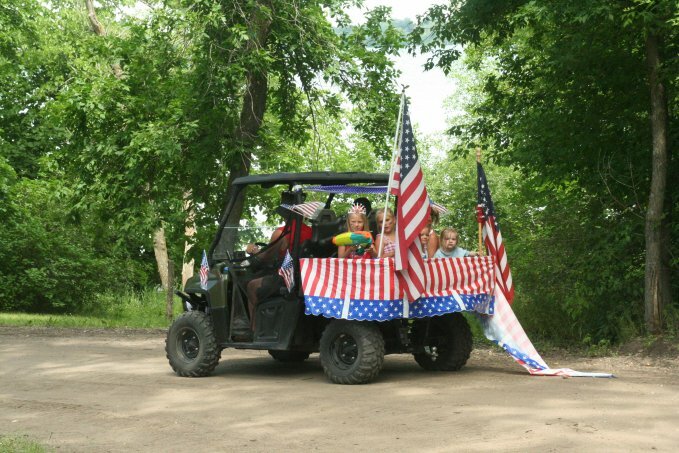 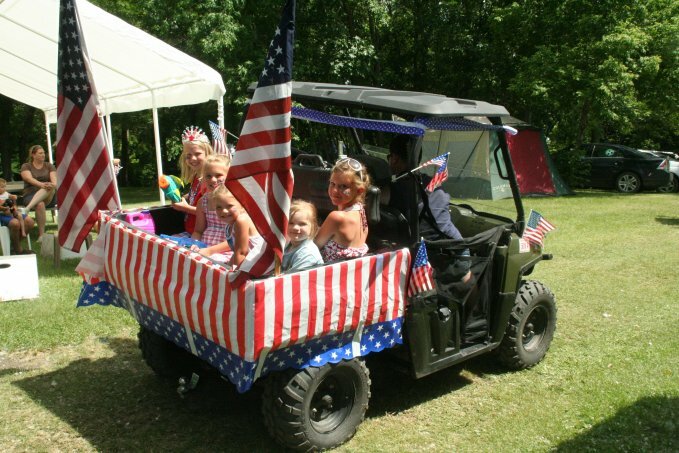 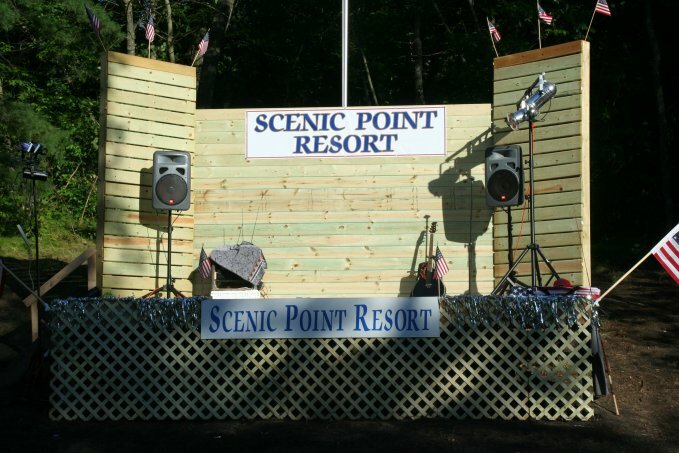 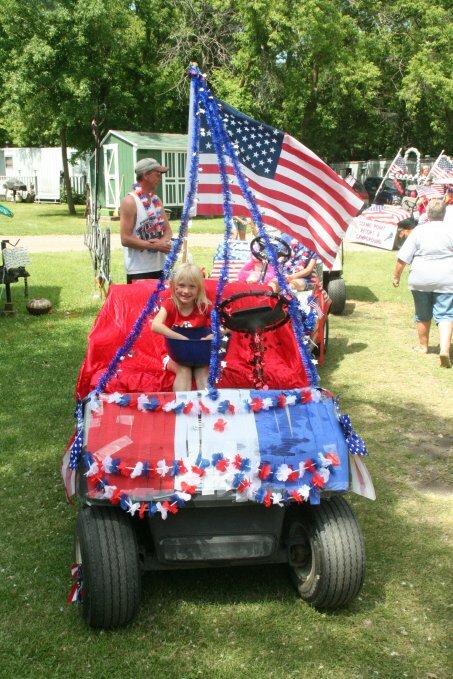 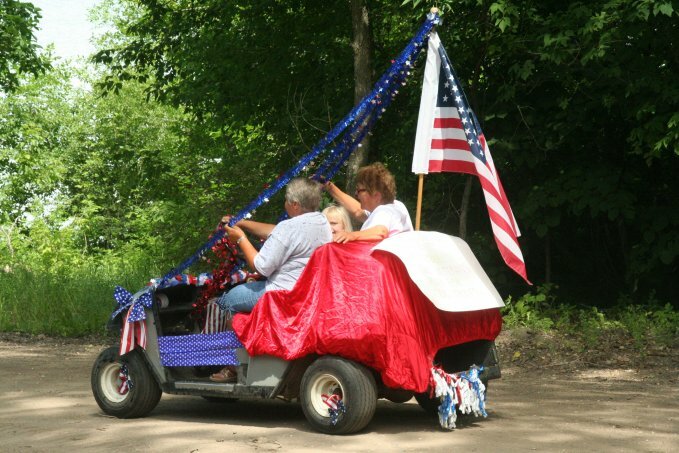 The 4th of July float parade is hosted by the seasonal guest of SCENIC POINT CAMPGROUND as a just for fun event. 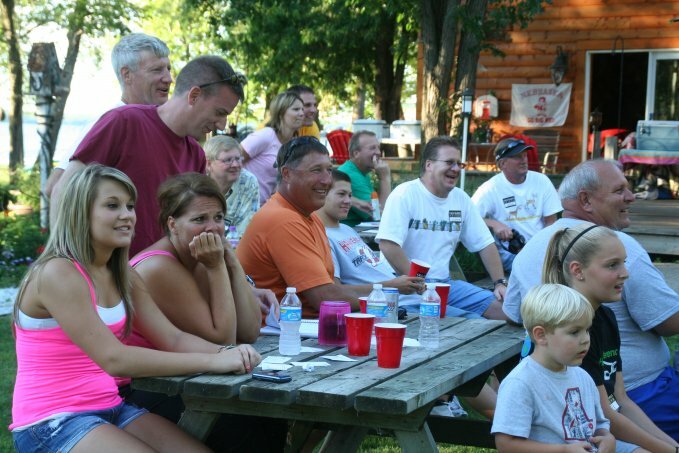 everyone is welcome to take part! 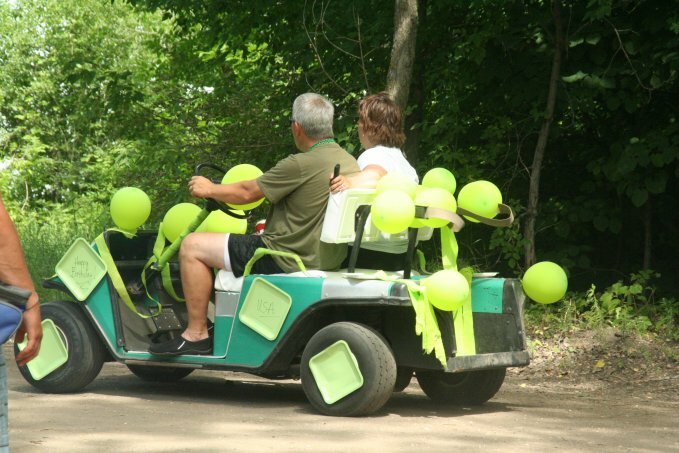 Decorate your car or truck, golf cart, 4x4 or yourself. 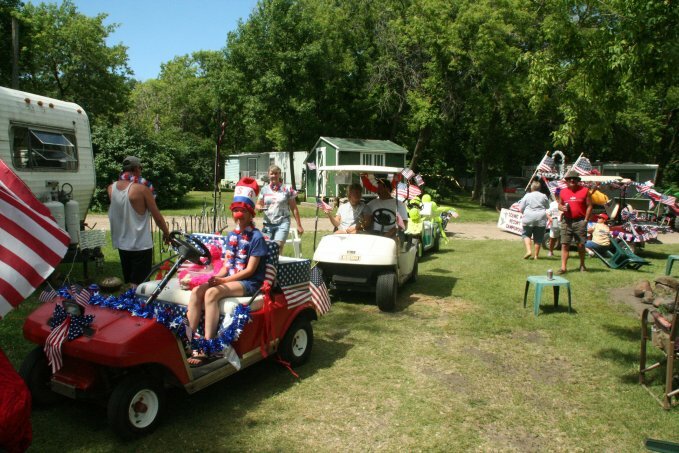 Parade the foolish side of your family around the grounds and have a good laugh! 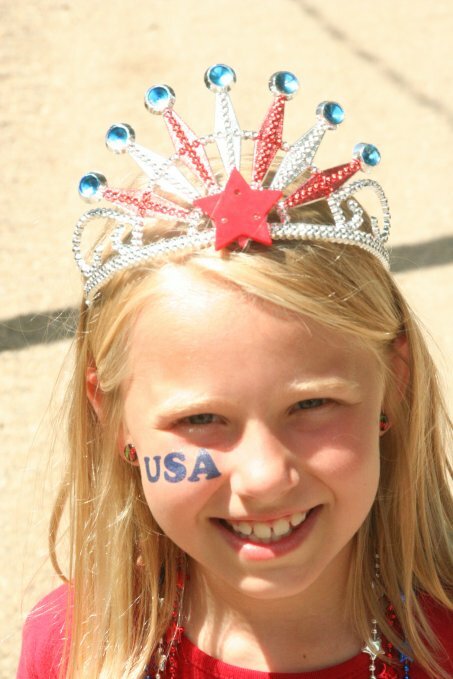 In the past we've had kings, queens and jokers, patriots, babes and beauties. 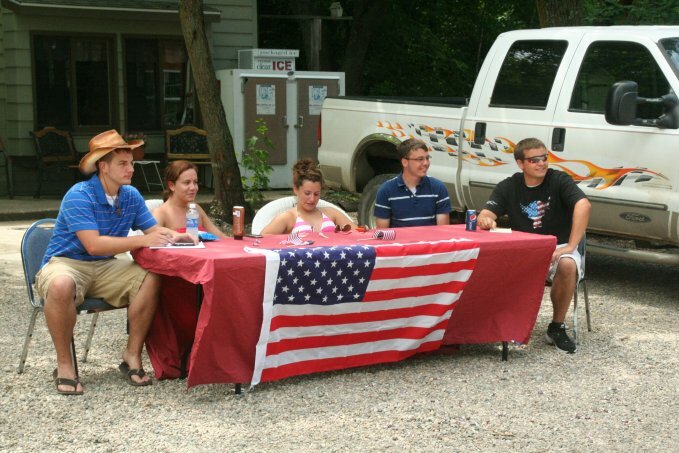 Students from Iowa Western Community College judging the the parade. 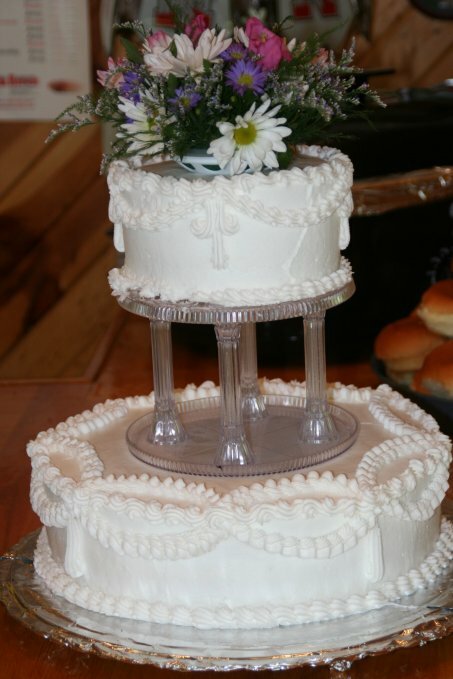 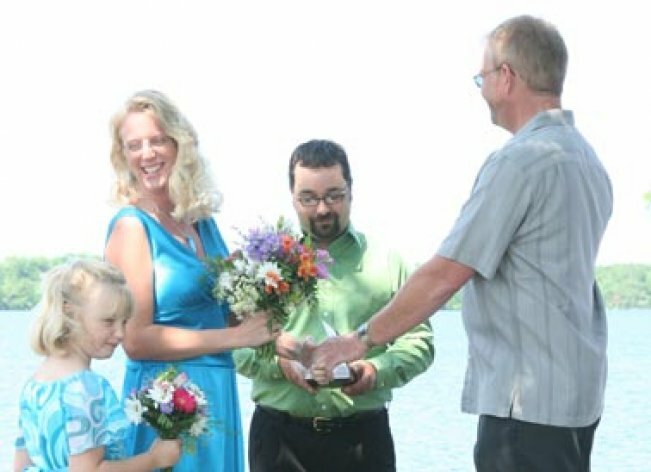 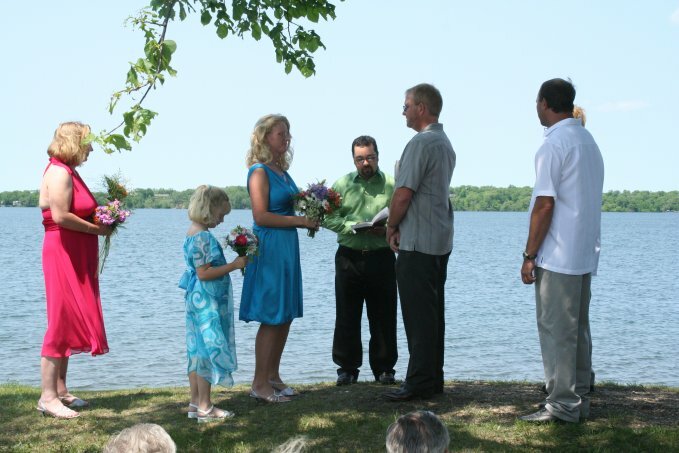 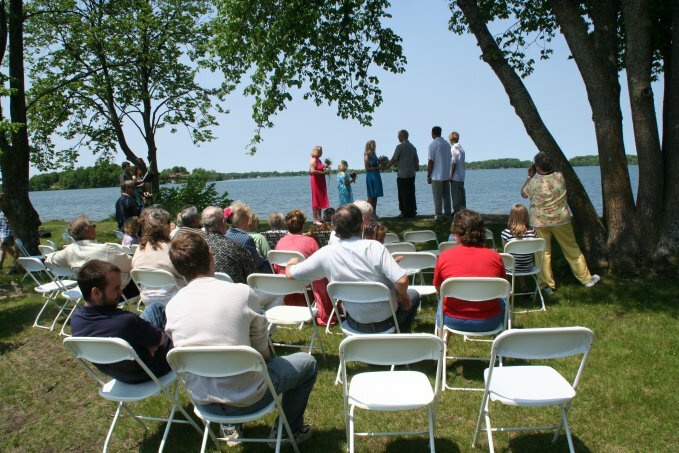 We can host your wedding here! 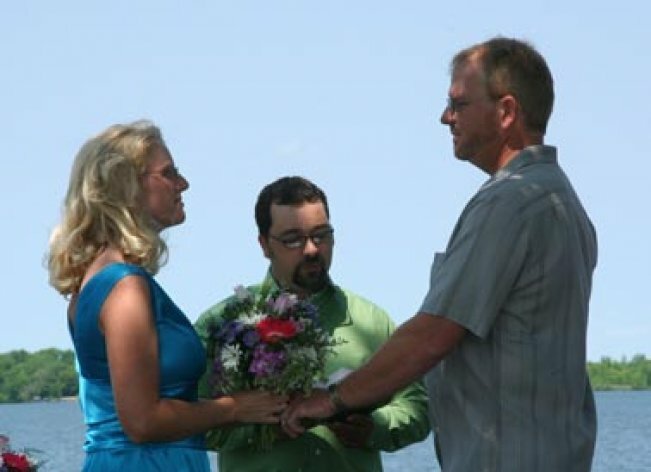 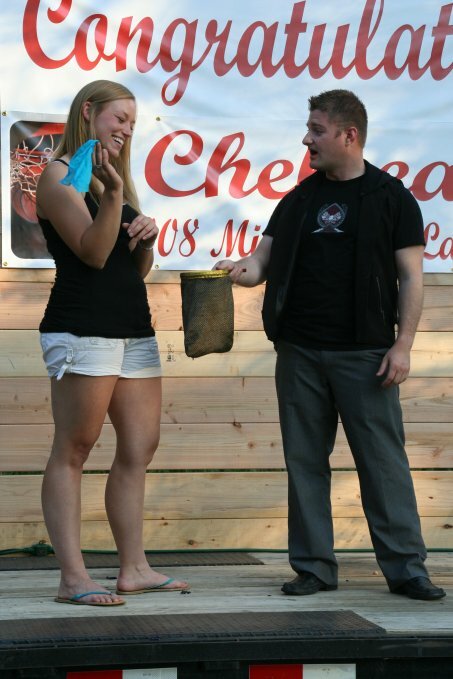 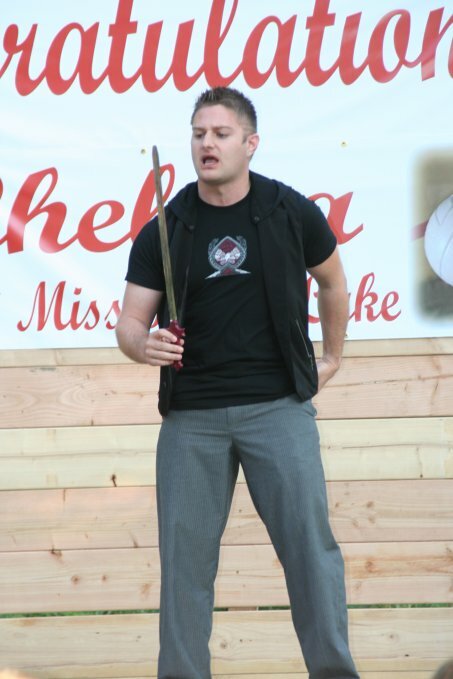 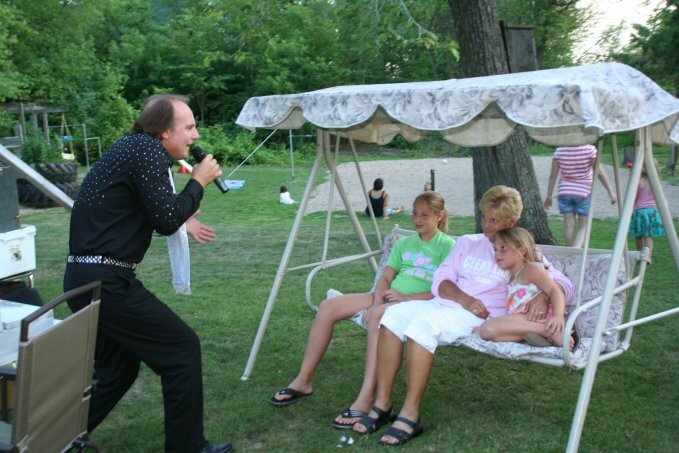 A wedding is even more magnificent when it is held at the "Point"
The Imaginick Magic Show with magician Nick Brentz. 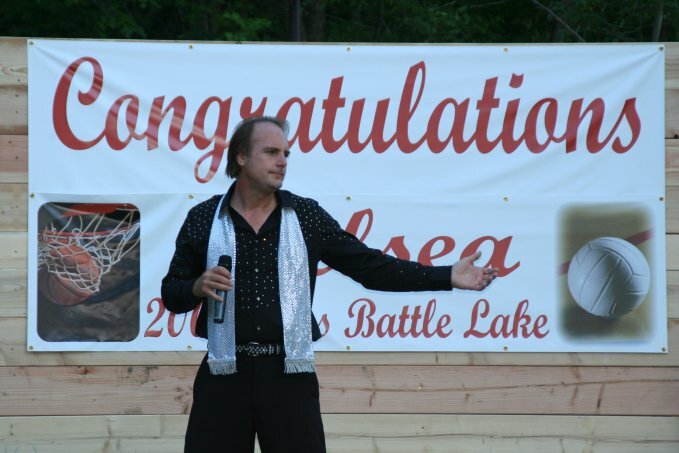 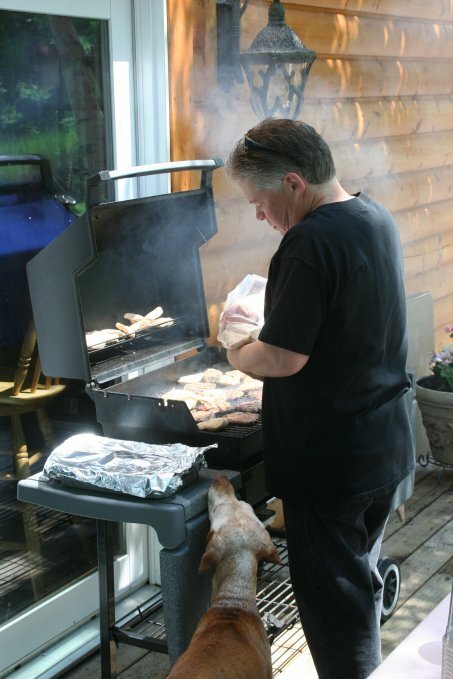 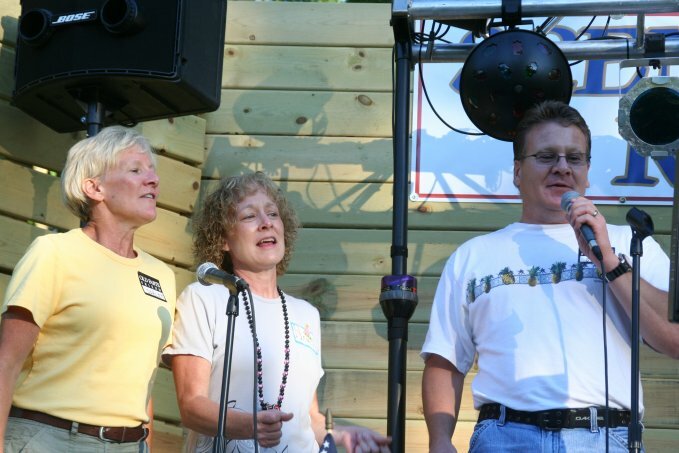 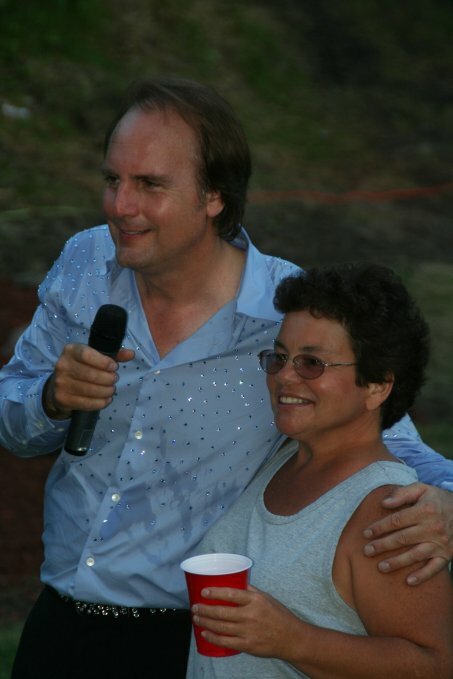 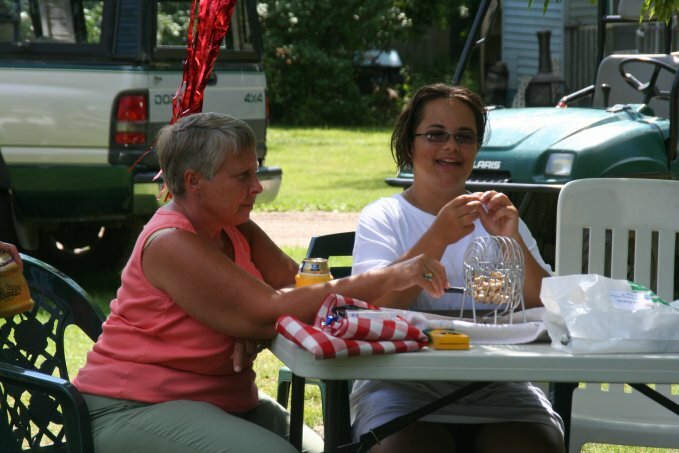 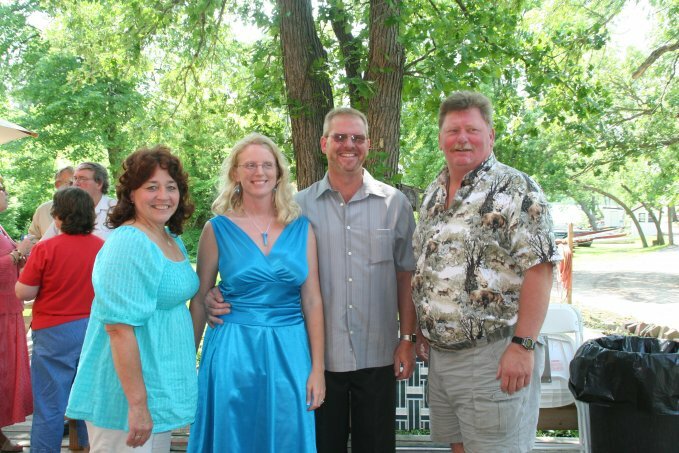 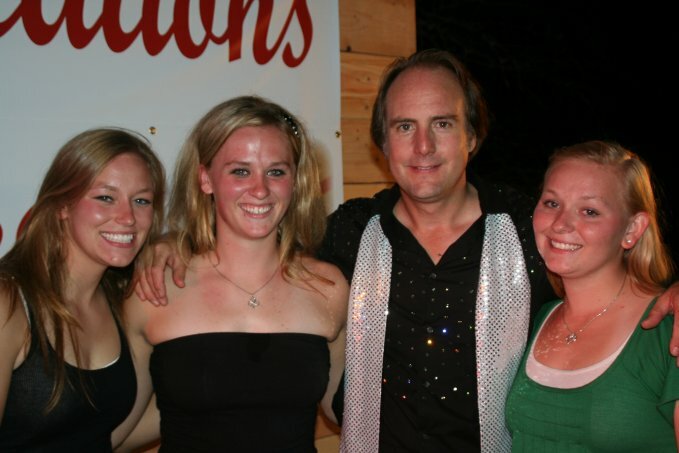 2010 Fourth of July Party featuring "A Tribute to Neil Diamond." 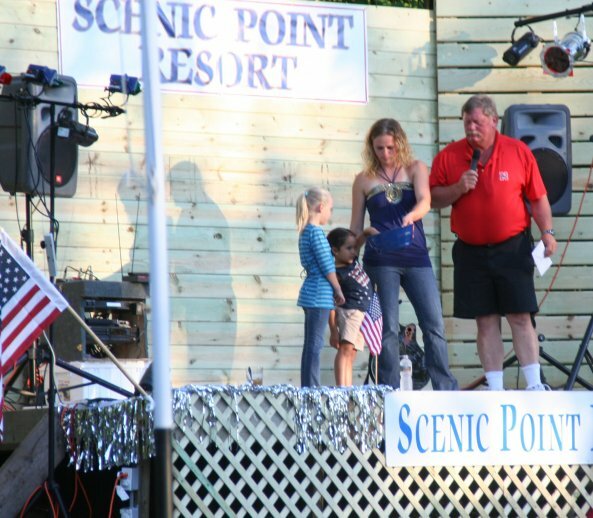 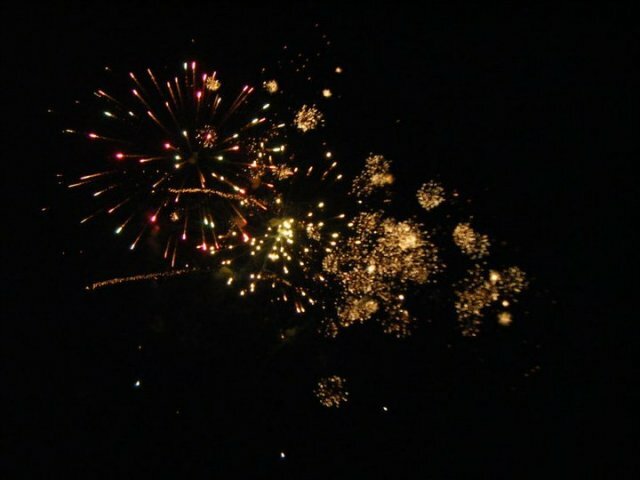 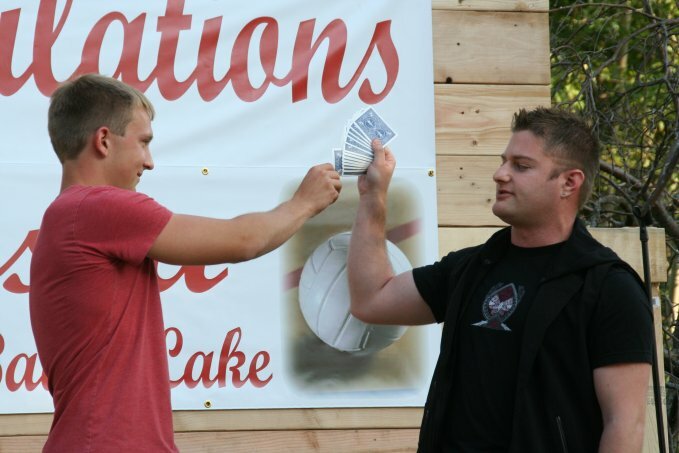 This Fourth of July celebration was open to the public and enjoyed by many. 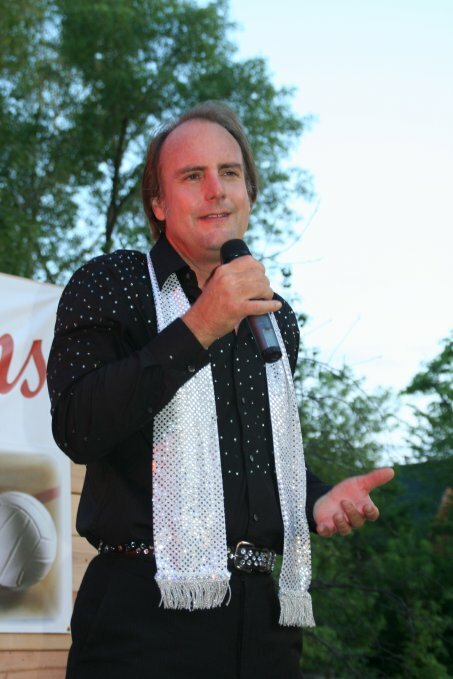 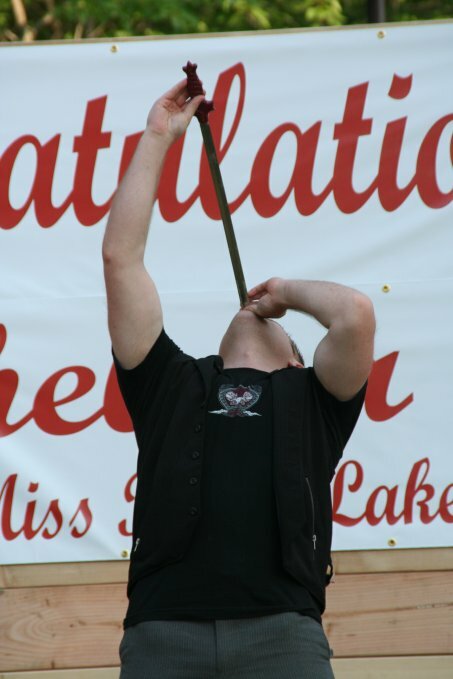 Once again, the Tribute to Neil Diamond show was a huge hit! 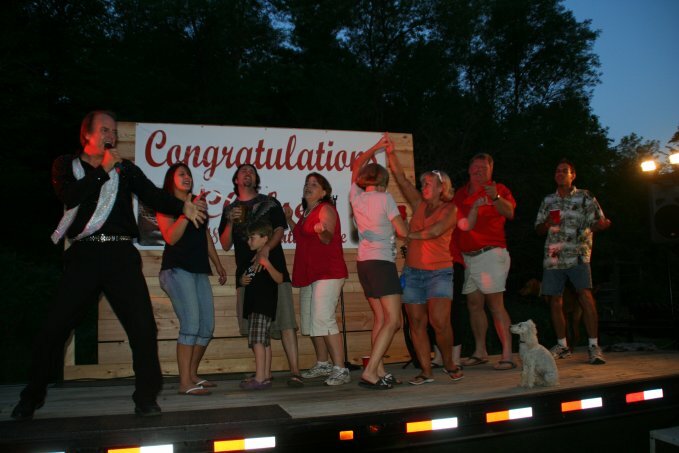 Every year the Colton's host a Husker Party. 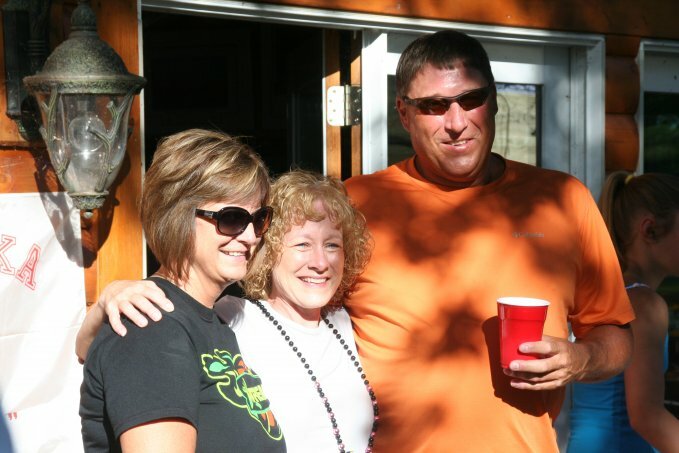 This year was no exception, however, not only did the resort celebrate Nebraska's inception into the Big 10, but they also celebrated the 20th birthday of Steven Wimmer, and surprised Nancy Gress with a 50th birthday celebration. 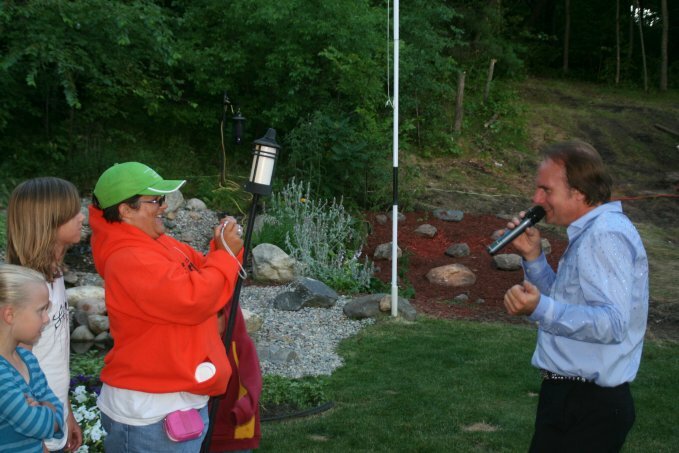 Entertainment for the evening was provided through karaoke and the vocal skills of many of our guests.